Love IS the answer, people! Contains: swears, offside humour, uncensored TMI, political incorrectness, God references, silliness, Snapchats and rants. Side effects include: laughter, spewed coffee, ruined keyboards. 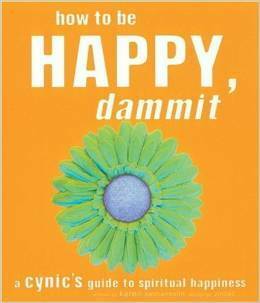 How to be Happy, Dammit is the first and only self-help book that merges psychology, biology, eastern and western philosophies, quantum physics, and the Zen of Bazooka Joe. Think love and happiness have passed you by? Think no schmaltzy book can help you capture the life-joy you’re looking for? This book is different, promises author Karen Salmansohn. Peek within its colorful, uniquely designed pages, and you really will find pearls of wisdom to help you discover more satisfaction every day. And you’ll find no saccharine sweetness here. 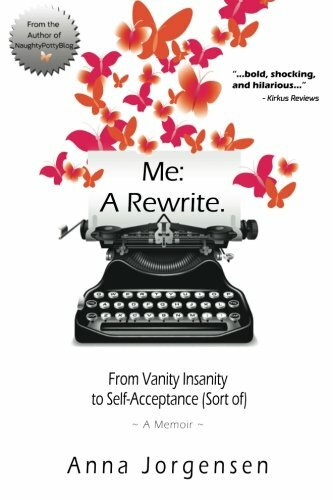 This book tells it like it is, exploring the ups and downs of life in a straightforward, thought-provoking, and humorous way. How to be Happy, Dammit is the self-help book for people who don’t buy self-help books. It may not change your life (unless you let it), but it will certainly brighten your day, even if you are a die-hard cynic. • Includes 44 life lessons that will save you years of time, effort, and navel-gazing.• Inspiring, fanciful graphics and illustrations throughout.• Karen Salmansohn’s book How to Make Your Man Behave in 21 Days or Less Using the Secrets of Professional Dog Trainers has sold over 450,000 copies. Want to laugh more often? Subscribe! Give it to me, baby! Warning: 75 varieties and uses of the F-bomb. More Info / Buy Now!